This weekend, I’ve deleted my Twitter and LinkedIn accounts. I deleted my Facebook account years ago. It looks like I’m done on social media for good. LinkedIn is a cesspit of recruiter slime and unsolicited offers to connect about jobs I wouldn’t offer to my cat, so it was no hardship to delete that account. But Twitter? I used to love Twitter. I’m made some great friends there, been part of some fascinating conversations, and followed some really interesting people. But the fact is, Twitter has become a nasty place to be. I’ve seen too many people dog-piling onto others for not sharing their views, and people being abused for little or no reason. Too often lately, I’ve also found myself getting snarky with others when trying to argue a point in those rare discussions that still occasionally occur. I don’t want to spend my time in a place where people are mean to each other. I don’t want to be one of those being mean. 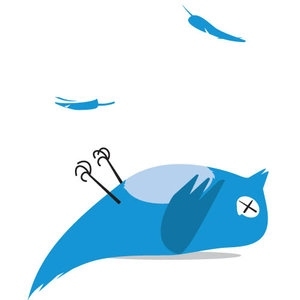 Apologies to all my friends on Twitter – I’ll miss catching up with you there! Please drop me a line. We can grab a coffee and stay in touch the old-fashioned, analogue way. I’ll still be posting to my blog, hopefully a bit more often than in the past year. Enjoy the extra free time!